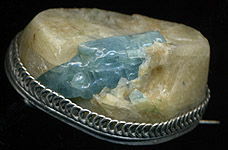 The term of "Apatite" was entered in everyday life in 1788 And. By Werner. 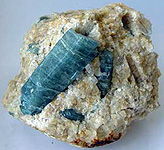 Apatite is a phosphate of calcium - usually be found as continuous grainy the masses. Chemical formula: Ca5(PO4) 3(F,Cl,OH). Solidity: 5,0. Brilliance is glass. Rarer growings in meet in a rock separate his prismatic crystals. 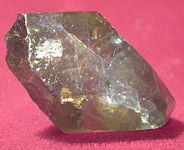 Opaque crystals can arrive at enormous sizes here. 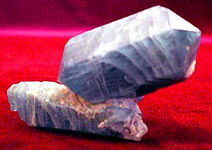 For example, in Canada were found out the prisms of apatite weighing more than 200 kilograms and long about 2 meters! Much rarer there are shallow transparent crystals which present a value as raw material for jeweller works. 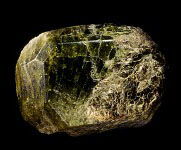 In the cut kind nonspecialist can enough easily to entangle them with more solid beryls, diopsides or tourmalines. From here, possibly, and there was the name of mineral (Greek apathao - "cheat"). On other version, stone got the name "deceiver", as a variety of his forms and colourings is very great. Chemically clean Apatite colourless, color various admixtures are given him. 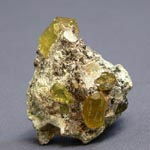 The color of transparent Apatites varies from yellow and green to dark blue and violet. Apatity is used as carpentry material and sometimes as insertions in jeweller decorations. 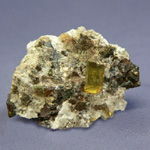 There are Apatites blue, bluish-green, violet, yellow, green, brown, colourless and with the effect of "cat's-eye". Transparent beautifully painted Apatites is used as jeweller stone, which requires an exact appeal because of enough low solidity - 5. But such jeweller stone are very rare. Jeweller Apatites have enough small sizes - usually to 5 carat, now and then to 20 carat. Large stone of golden-green color by mass 147 carat were found in Kenya, defect-free stone by mass 100 carat processed in Canada. 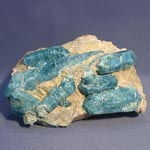 Colouring of apatite is related to the numerous elements-admixtures, entering in the complement of mineral. 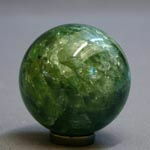 At treatment an apatite give the facet cutting, less transparent stone of cabochonion. 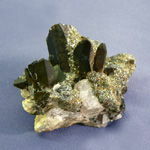 Popular as mineral standards are in collections. 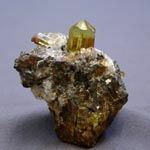 Jeweller Apatites meet in the mine deposits of different countries. 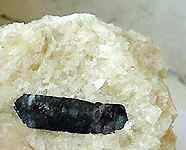 Dark blue Apatites is known in Burma, Brazil, Sri Lanka, Finland; dark blue-green - in Norway; green - in India, Canada, Mozambique, Burma, on Madagascar; yellow - in Mexico, Canada, Brazil; brown - in Canada; violet - in Germany, Czechoslovakia, USA (the states are Maine, California); colourless - to Burma, Italy, Germany; with the effect of cat's-eye - in Sri Lanka and Burma. In Russia found out jeweller Apatites on the Kola (Colskiy) Peninsula and in Transbaikalia - dark blue, in East Transbaikalia and on Pamire - rose, on Aldan - green. During authentication it is necessary to turn the special attention on low solidity. There is opinion, that blue Apatites is able to chill raging emotions and cause for a proprietor pacified and a bit sleepy the state. 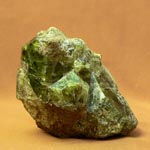 Not by chance Apatite name the stone of pacification. 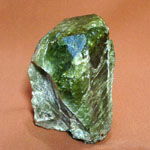 Green Apatites is instrumental in a good mood and making of optimistic point of view. 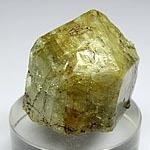 It is considered that yellow Apatites is able to render salutary influence on all body. Jointly with a mountain crystal the blue or colourless crystals of apatite can be used for harmonization of bodily condition, they are similar this with a mountain crystal. 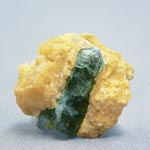 Apatite - neutral stone and not able to harm an owner.